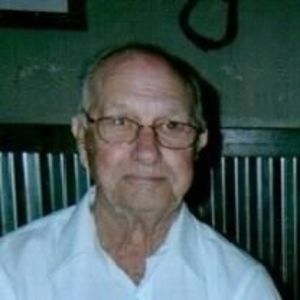 STATESVILLE-Lorenzo Dow "Don" Moore, 99, passed away on October 5, 2017 at his residence. He was born on June 17, 1918 in Stillwater, OK the son of the late Harry "Bud" and the late Nettie Jenkins Moore. After graduating from High School, he attended the Kansas City Art Institute. He was a member of Bethel United Methodist Church. He enjoyed gardening, watching Dr. Phil, Dancing with the Stars, and America's Funniest Videos. He also enjoyed eating, photography, cherry pie bacon and eggs, and Yellow Deli Rueben's. He was proud of the fact that both of his grandparents made the run to Oklahoma in covered wagons. In addition to his parents he was preceded in death by his wife Betty Jean Moore on September 3, 2016. Survivors include his daughters; Melody Moore of Catawba and Cindy Johnson (Jackie) of Statesville; one grandson, Galen Johnson of Statesville. The family will receive friends on Sunday, October 8, 2017 from 4-5pm at Bethel United Methodist Church. Funeral Services will follow at 5pm in the church sanctuary. Burial will be in the church cemetery. Memorials may be made to Bethel United Methodist Church Cemetery Fund, 168 Lookout Dam Road, Statesville, NC 28677 or Iredell County Hospice and Palliative Care 2341 Simonton Rd, Statesville, NC 28625. Bunch-Johnson Funeral Home is proud to be serving the Moore family at this time.